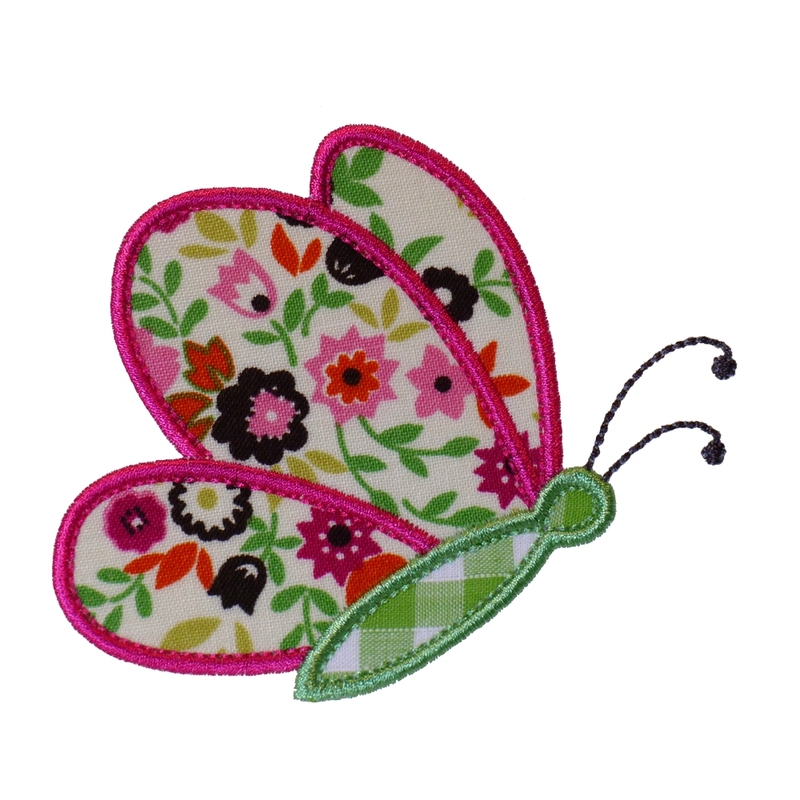 This sweet little butterfly is a delight to sew out. 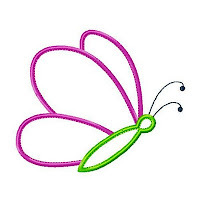 It is perfect on garments for babies and girls and looks lovely on bedlinen too. There’s bound to be some fabric in your stash perfect for this project! It comes to you in 3 Sizes - 4", 5" and 6"
5x7 Hoop - exact sizes 5” x 4.21" and 6" x 5.04"
Have fun using different thread color and fabric color combinations with BUTTERFLY FLYING BY and you will be rewarded with a vast array of different looks. Enjoy! What a gorgeous butterfly and I love the fabric you have used! Kudos to you for designing a spectacular design, well made, thought out and beautiful results. I liked so much that I got your other butterfly and your upright bunny. Look forward to future designs. Have to admit to coveting your pear and apple designs as well as a few others. I have done many applique designs and have to say that yours is one of the best!